With PPCmate it is possible for your ads to be display on Twitter. Twitter traffic is available for Native and Display campaign types. In advanced settings search for Supply Partners. 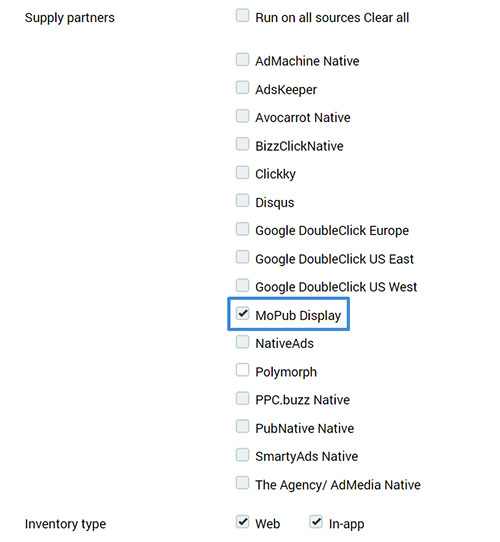 There you need to select Mopub Display SSP, as it is the one targeting Twitter traffic. 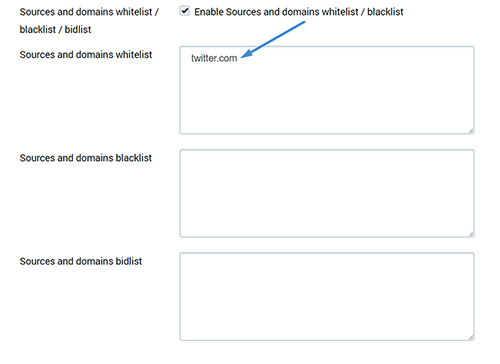 You can also target directly with “twitter.com” domain. For this, you need to search for Sources and domains whitelist / blacklist / bidlist and enter the domain in whitelist box to receive traffic ONLY from Twitter.